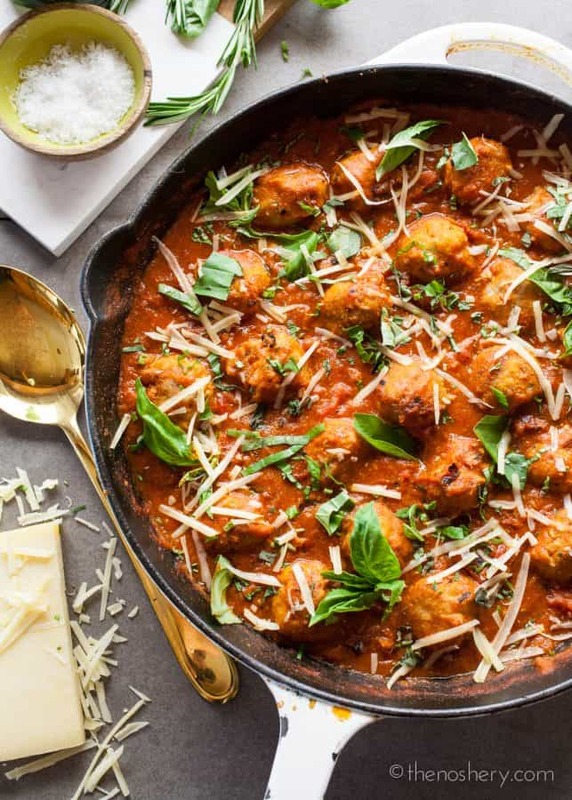 Italian Turkey Meatballs | Life has been a little crazy. Obligations and travel have thrown my schedule for a loop. Early in the week, I did groceries forgetting that both OB and I were going to be busy. Next thing I know I got a package of ground turkey meat that is going to turn if I don’t do something quick. I had a jar of my roasted tomato and vegetable pasta sauce so I figured that I could toss together some meatballs quickly. Initially, I didn’t plan to post these. The idea was to make some meatballs real quick and continue on with my day. But, then I realized that I didn’t have a simple Italian meatball recipe on the blog. Which surprised me because I feel like that everyone should have a trustworthy meatball recipe, so how could I not have one on the blog. Next thing I know my mission to salvage a package of ground turkey turned into a post. I kind of love it what things work out that way. I wanted to make these meatballs lean and paleo friendly so, I used turkey meat, ghee, a paleo baking mix, and my own pasta sauce. But, if you don’t have any dietary concerns you can you butter or flour for the meatballs and jarred pasta sauce. These meatballs are simple and full of flavor. They can be prepared ahead of time and frozen, which is perfect for meal planning. 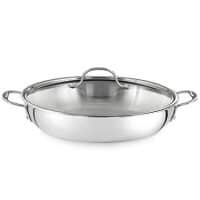 Serve them over pasta, zoodles, or crusty bread. Looking for more Italian inspired dishes? Try my Easy Weeknight Italian Chicken Skillet, Butternut & Sausage Hash Lasagna Rolls with Creamy Sage Sauce, or Seafood Pasta (Pasta di Frutti di Mare). If you are feeling bold you can even make your own Homemade Pasta. 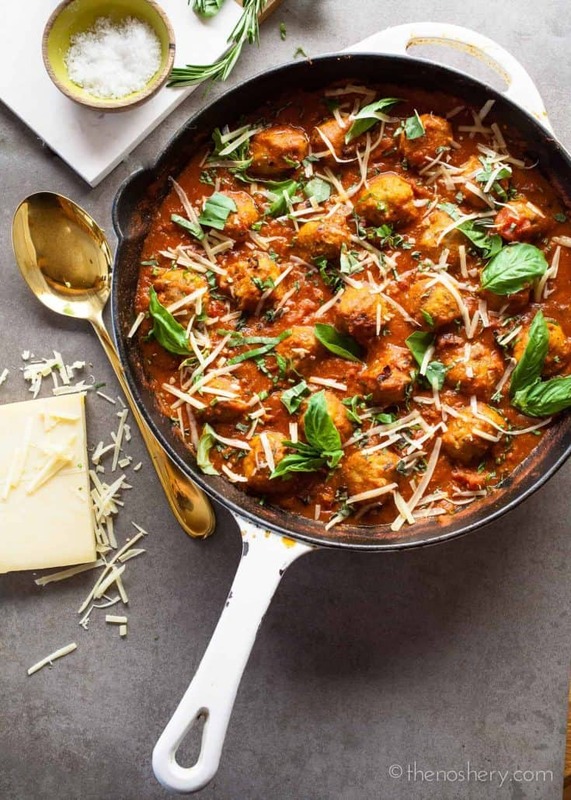 Everyone needs a dependable and simple meatball recipe. 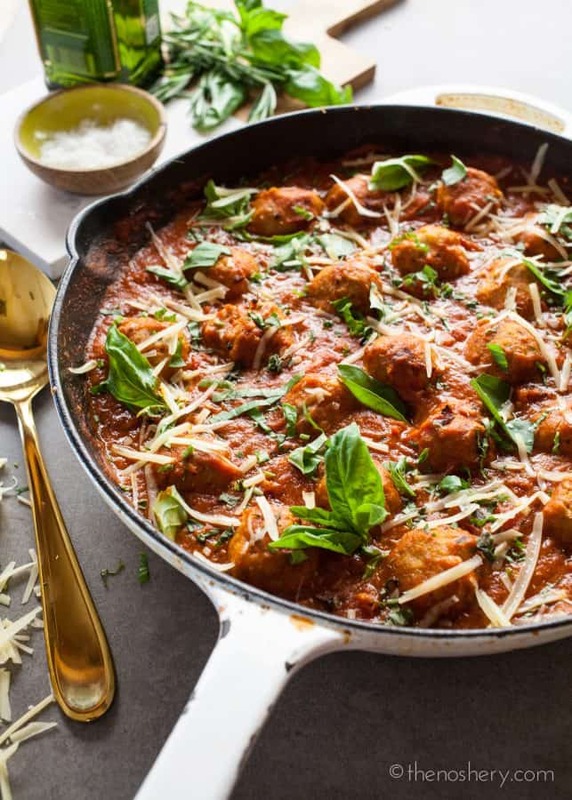 These meatballs are a healthier version that comes together quickly and is full of flavor. In a large bowl combine ground turkey, fresh herbs, onion, garlic, egg, salt, and pepper. Using hands mix meat together until well combined. Line a sheet pan with parchment pepper. Shape meat mixture into about 24 balls and set aside on prepared sheet pan. 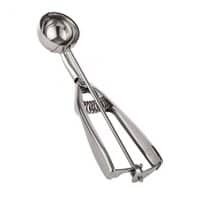 Pour paleo baking mix or flour in a shallow bowl. Gently roll the meatball in the mixture and set aside. 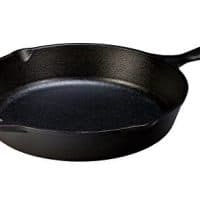 Heat a cast iron skillet or a heavy bottom non-stick skillet over medium-high heat. Melt ghee in the skillet. Place meatballs into the skillet and brown on at least two sides. Pour sauce over the meatballs, cover and simmer for about 10 - 15 mins or until meatballs are done. Sprinkle with parmesan and torn basil leaves. I have been making turkey meatballs for years and no one knows the difference and everyone loves them. I never, ever fry mine. I bake then in a very hot oven 450 for about 14 minutes. Place them on parchment lined rimmed cooking sheet. So much easier and healthier. I am Italian and my mom and stepdad owned an Italian restaurant. They are both deceased now but would be proud of my version.